Astraseal, the highly respected trade and commercial fabricator has once again strengthened its comprehensive door range with the launch of Infinity, their brand new collection of contemporary composite doors. Combining five on-trend, solid and glazed door styles, the new Infinity door collection provides installers with a high-performance solution to suit any consumer demand. In addition to an authentic woodgrain finish, the contemporary collection offers linear and diagonal etched detailing, along with an array of stunning glass options. Each door is available in any RAL colour with dual-colour options also available. To finish off Infinity, homeowners can choose from a full range of luxury hardware options including the popular long-pull handles and key wind-up locking to match. As to be expected from Astraseal, Infinity doesn’t compromise on performance with excellent thermal efficiency, security and weatherproofing. 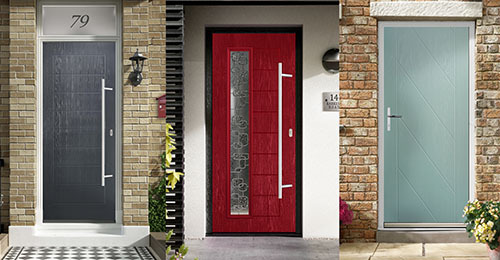 The new Infinity collection is designed to partner with Tilbrook, Astraseal’s latest heritage-style composite door. Launched last year, Tilbrook delivers the traditional aesthetics of timber without compromising on modern-day performance. Much like Infinity, Tilbrook is manufactured using a hard-wearing GRP skin and features an extensive range of design options. To find out more about the new Infinity collection, customers and prospective partners can visit the Astraseal Downloads website (www.astrasealdownloads.com) to access the new Infinity brochure.